A religious holiday is celebrated in the Orthodox world and is of great importance for every believer. On this day, sincere prayers help to gain self-confidence and say goodbye to failures. The Cathedral of All Saints does not have a specific date, because of this holiday is called rolling. Every year it is celebrated a week after the Holy Trinity. This date falls on June 10, and solemn liturgies are held in all churches and churches. During the service, ministers recite prayers glorifying Jesus Christ. According to the preserved sources, one can trace the history of the formation of the holiday. The first mention of it dates from the fourth century. In one of the sermons, John Chrysostom mentioned all those who serve the Lord, the victims and those who gave their lives for the Orthodox faith. Since then, the saint has decided to pray annually for all the holy people who gave their lives for the Lord. One hundred years later, in the fifth century, the Orthodox Church decided to celebrate All Saints Day on the first resurrection after the feast of the Trinity. priests call on all believers to honor the memory of the saints who glorified faith in the gentlemen, not fearing persecution and attacks from the atheists. All the righteous who followed the covenants of Jesus Christ are an example of true faith and humility, which helps followers to cope with difficulties and not succumb to adverse circumstances in life. The holiday is celebrated after the Trinity for a reason. It was the day of the Holy Trinity that was the time of the formation of the Orthodox Church, and all the great martyrs contributed to this wonderful event. Thanks to their efforts and preaching, we can offer prayers to the Higher Forces and receive the support of Heaven in a variety of life situations. The holiday for Orthodox believers begins with a prayerful appeal to the Lord and a solemn liturgy in the temple. During the divine service, priests recall the acts of the righteous who lived at all times, read out passages from the Gospel and bless all those present. 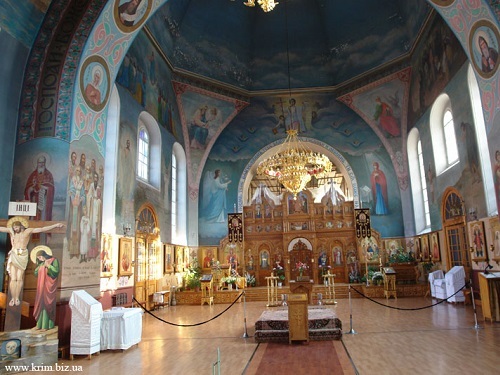 June 10 will mark the day of Nikita Gusyatnik, a folk festival during which the church honors St. Nikita of Chalcedon. A lot of religious and folk signs merged together, therefore, during the triple holiday, many traditions are observed. According to beliefs, St. Nikita protected the young birds and protected her from predators and diseases. Our ancestors asked the saint for help in urgent matters and prayed to him for the health of all relatives. In the churches in the old days, prayers were ordered, during which defensive prayers were read to protect large numbers of cattle. After the moleben, the birds and animals were driven out to pastures, and the geese were boiled on cereal in holy water, so that diseases could be bypassed. The second name of the holiday of Nikita Gusyatnik — Half-Days. He was named after the spirits, who were like young women. It was believed that they could have been seen by men during field work and deprived of their strength. Women accompanied their husbands and sons to the fields, accompanying them with protective prayers. The men tried not to look at the sky, and as they approached, pretty girls closed their eyes and read “Our Father”. It was forbidden to anger and drive away the spirits, otherwise they could spoil the crops and cause drought. Spirits are usually divided into good and bad, and according to beliefs, many people met a young woman with a frying pan in hand while working in the fields. She blocked her young shoots from the scorching sun. Evil spirits appeared in the image of beautiful girls and tried to seduce men in order to deprive them of their strength and health.